Another of our many weddings at the Brentwood Golf Club. This venue is the best wedding photography venue in Brentwood with it's scenic views and golf course pond overlook. 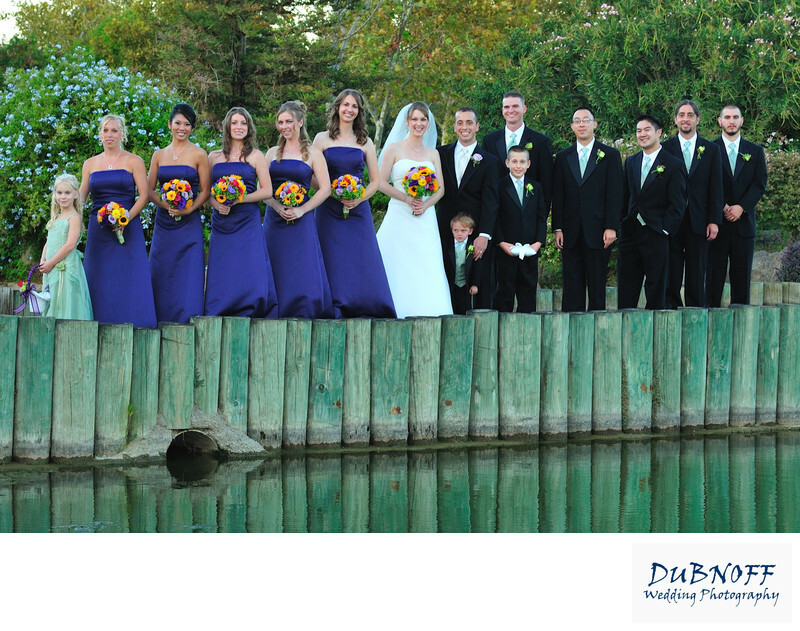 The bridge is a particularly popular location for group shots and wedding parties. At certain times of the day, it is possible to get some terrific reflections from the pond that the bridge crosses. We enjoy the staff here and have photographed many weddings at this venue! We would not hesitate to recommend the Brentwood Golf Club to any engaged couples looking for a San Francisco Bay Area wedding Venue.